What are your rights in the case? Is legal action is necessary? Should you settle out of court? The single most important document will be the Georgia Uniform Vehicle Accident Report. You should also take down the contact information for any witnesses, make a note of local security cameras which may have captured the incident, and take photos of the accident scene and vehicles. The more information you are able to provide about your case, the more likely you are to settle quickly and favorably. Contact your insurance company to initiate the claims process. Most policies require notification of accidents within a specified period of time, but the best course of action is to call the number on your insurance card immediately after the police report has been filed. Government agencies may have additional forms that have to be filed along with your claim. In some jurisdictions, you may be required to file with the agency before any court action can be taken. This is where having a personal injury attorney in your court will be a huge benefit. Your lawyer will know which agencies to contact and what forms need to be filed in order to expedite your case. In a typical vehicle accident, Georgia allows up to 2 full years from the data of the accident to file lawsuits in the case. 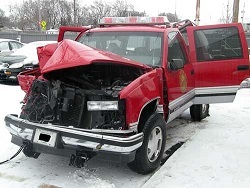 When city or state vehicles are involved in the accident, the statute of limitations is much shorter, requiring action to be taken within 6 months. Georgia law requires that any branch of government must be provided with a proper notice of a potential claim called an “Ante Litem” notice. The specific requirements of the Ante Litem notice have been recently modified by statute. These requirements must be satisfied to the letter of the law or any claim will be barred. An accident attorney can advise you on the amount of time you have to file suit, and provide you with other guidance to make sure the process goes as smoothly as possible. An experienced lawyer like Bruce Hagen can help you every step of the way, from advice on tough decisions to collecting helpful information. We specialize in auto accidents and personal injury, so please contact us today to set up a consultation and find out how we can help you.